Bliadhna Mhath Ùr, Happy New Year and best wishes to you all. After a night spent preparing and wrapping rolls for 74 packed lunches it was a relief to finally finish work and get ready for the excitement to come. The ferry trip to Colonsay is always where the Ceol Cholasa feeling begins and this year was no exception. There were lots of familiar faces and a blether about what lies in store in the next few days ensued over a pint or two. 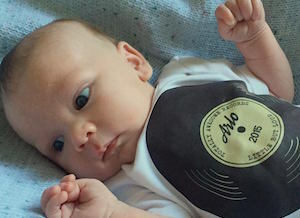 We were all very excited to hear that on the 7th November 2015 Keir and Grace Johnston welcomed their baby boy, Arlo William Keir into the world. He was born at 6:44am weighing 8lbs 6.5oz. Congratulations to Grace, Keir and new big sister Izzy! Sheena Nisbet has been back in the principal’s chair for the last few months as acting Head Teacher of Kilchattan Primary while Gill has been on leave. Gill has now returned and Sheena is off on a new adventure to do a few months relief in the primary school on Iona. 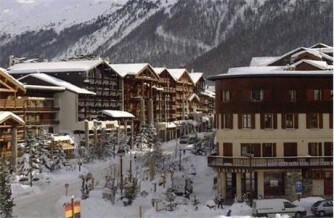 Holly Nisbet recently jetted off for the ski slopes of Val d’Isère in France. Here’s a wee recap from Holly of her first few months. A couple of Colonsay’s residents recently took up the Sober October Challenge in which an individual is sponsored to stay off the booze for the whole of October to raise money for Macmillan Nurses. Quite a feat but one ably tackled by Donald MacAllister Jnr and Christopher Baker Jnr. In total they raised around £450. In October we had the annual Root & Grain Show in the Village Hall. A good turn out with plenty of entries. Here’s a recap of the winners – well done to all those who took part! Jamie Leppard was the lucky recipient of £30 prize money after correctly guessing the number of sweets on the cake in a fundraising competition for MacMillan Cancer Support. Don’t spend it all at once young man! Hopes Raised For Port Mor Housing Project. At an early December meeting on the island, community reps took the first steps on the road to building affordable social housing at Port Mor. If the project comes to fruition, the new houses will greatly alleviate the plight of several, mostly young islanders who are currently classified as “statutorily homeless” and living year-round in caravans or other unsuitable accommodation. Club Captain Donald MacAllister chaired the Club’s 16th January AGM in the island’s fire station and reflected on a season that had included a successful Open competition and ceilidh and an enjoyable trip to The Machrie, on the Isle of Islay. Due to consistently adverse weather, there had been no Winter League, however members had squeezed a couple of Texas Scramble matches into the gaps between Abigail, Gertrude, Desmond and Henry.